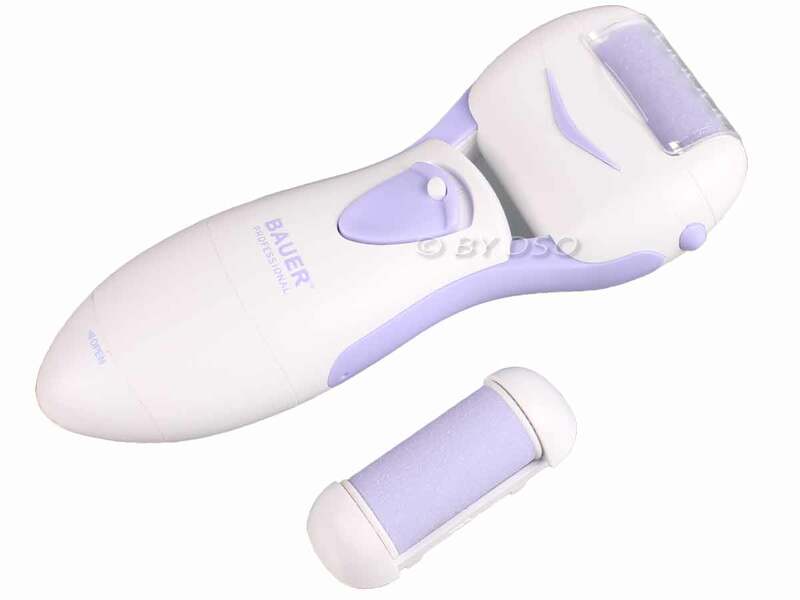 This callus remover is an innovative device created to smooth dry, rough and calloused skin on the feet. Unique grinding rollers spin at 360 degrees, 40 times a second, the 300 degree wide angle gently and effectively buffs away hard, jagged skin on the heels. This callous remover works quickly and is an easy and safe method with no blades to cut the skin, it is battery operated and designed to fit comfortably in your hand.